BlackBerry has won $815 million in an arbitration battle against Qualcomm over royalty payments, the company said today. The award also will include interest and attorneys' fees, which have not yet been determined. Little detail is available about the proceedings, which ended on March 3 but were only made public today. Essentially Qualcomm agreed to put a cap on certain royalty payments, and there was a disagreement over whether or not that cap applied to some large payments made by BlackBerry, which uses Qualcomm chips in its phones. 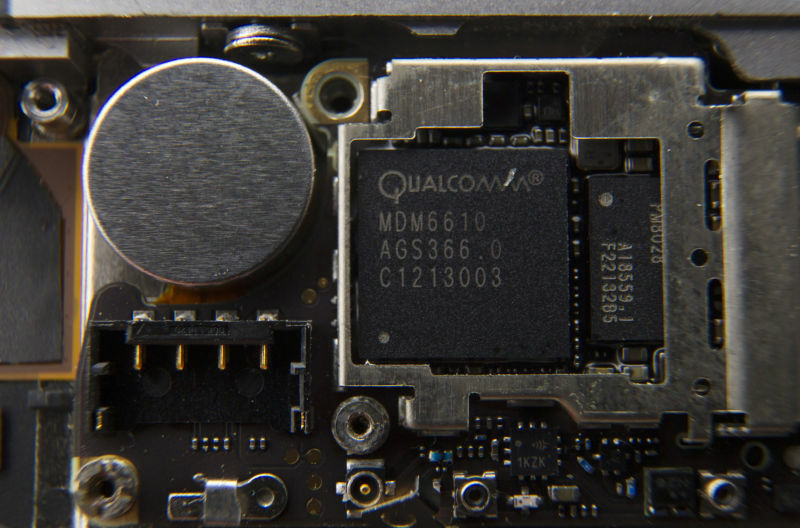 The award comes at a time when Qualcomm is fighting Apple in a high-stakes patent lawsuit. Apple sued Qualcomm in January, saying Qualcomm illegally withheld $1 billion in rebate payments and that Qualcomm routinely demands patent royalties "for technologies they have nothing to do with." "BlackBerry and Qualcomm have a longstanding relationship and continue to be valued technology partners," said BlackBerry CEO John Chen. "We are pleased the arbitration panel ruled in our favor and look forward to collaborating with Qualcomm in security for ASICs and solutions for the automotive industry." Qualcomm's response to the arbitration award emphasizes that it has no impact on agreements other licensees. "While Qualcomm does not agree with the decision, it is binding and not appealable," states Qualcomm's statement on the matter. The large arbitration award caused Blackberry's stock to jump about 15 percent this morning. Blackberry gave up its struggling hardware business last year. Since then, the company has launched patent lawsuits against both Avaya and Nokia. The final award, which will include interest and attorneys' fees, will be issued after a hearing on May 30.